To be honest Yogi Adityanath isn’t a name that automatically excites you as a political observer. I am no different here. Barring his few stray statements blown out of proportion by our ever agile media there wasn’t much in him that would have got me thinking. Until recently, for me, he was just another politician from BJP albeit with strong Hindu centric ideologies. But that perception suddenly got changed overnight. His surprise elevation as the new CM of Uttar Pradesh made me sit and take a note of this man in saffron little more seriously than I used to do. Why I used the word ‘surprise’? Well, to be honest again, I had thought BJP would be better served if they install a big shot like Rajnath Singh as the CM of the state. That was even the whisper in the corridors. Knowing the strong local leadership that BJP enjoys in the state, it required someone having experience in handling big portfolios to lead them. Rajnath Singh fit the bill like none in BJP did. But when the national leadership of the party on 18th declared Yogi as their choice to lead the state, it made my eyebrows raised in some kind of astonishment. Has Modi lost the plot, we may want to think but knowing Modi and his political acumen it could be a possibility that we may be missing something that Modi isn’t. So how about doing our bit to understand the psyche behind this decision and the possible political compulsions, or choice if you want to call that way? Some time back I wrote a piece on the way Modi and Amit Shah are handling the party’s political ambitions. They have taken few surprising gambles in the recent past and each time they have proved the political punditry wrong. Except Bihar, all their plans and moves, recent being the decision to go it alone in the Maharashtra municipality elections, have yielded rich dividends for the party. This can’t be just a fluke. There has to be something substantial that most observers either aren’t capable to see or are not ready to accept as points to ponder. Many of Modi’s supporters and party men are still lavishing themselves under the euphoria of the 2014 general elections win. The only person who seems to have forgotten that win and since had moved on is Narendra Modi. He knows his politics and the road ahead of him. If nothing, the loss in Bihar elections must have thrown more political food for thought at him. No one knows better than Modi that the road ahead won’t be simple as the situation today has snowballed into an existential crisis for many. Many of the big political names that we grew up hearing are today struggling to even remain relevant, let alone posing any serious threat to the Modi juggernaut. Only way out of this imminent annihilation for them is to stay united. It even is proved in Bihar election that a united force of worst of yesteryear enemies can defeat the phenomenon called Modi. Modi may not be invincible if political parties can shed their ideological, political and personal differences and join hands at a desperate attempt for survival. And no one knows better than Modi that this is not just a hypothetical possibility any more. Come the elections of 2019, majority of these political outfits, who are in the verge of alienation, would come together because that is the only way out for them. A combined force of SP, BSP and Congress going together to challenge is not just a possibility but a surety today. And here people like Yogi Adityanath play a vital role in Modi’s grand plan to counter the united opposition in 2019 or may be even beyond. It is plain foolishness to believe that people voted BJP to power in 2014 just on the developmental plank. That is again a wishful thinking, not pragmatic. It is true that people were desperate for a change that could assure them some development in many areas but that is not the only reason for the empathetic win of BJP. And dare I say many people voted BJP on ‘Hindutva’ agendas as well. It is these voters who would come handy if the 2019 elections going to be fought on religious and caste lines. You don’t always choose your war. If a grand alliance would be formed purely on caste and religious lines, as by 2019 these parties would have nothing to showcase except their caste biasness, the opposition has to adopt similar strategies. It would be stupid to go out there and wave your development placards alone. As is politics is always a mix bag, not a singular form. You can’t fight, at least in India, caste arithmetic with just development. This won’t work in Indian politics at least. It doesn’t work in any country’s politics even. Had people been so observant to realize their real benefits in overall development over religious appeasement, the said future ‘Gathbandhan’ political outfits would have been history by now. But since they still are here and quite static at carrying on the same caste/religion lines that they used to do 30-40 years back at the time of their inception, it is only safe to say, caste based politics is still at play in our country. Let’s not shy away from this fact. And Yogi Adityanath is one of such many counter measures that Modi going to deploy over the next couple of years. The core vote bases of BJP are the ones who see it as the party that would satisfy their ‘Hindutva’ aspirations. Call it our misfortune or the outcome of the prolonged filthy minority appeasement that other parties play shamelessly in open, we have many among Hindus who feel, it is about time that they forget everything and vote for the party that assures them the much needed uniformity among all religions, if not outright majority appeasement. And Modi knows very well that, in last three years, he hasn’t done anything for this peculiar vote bank. It need not always have to be the ‘Ram Mandir’ in Ayodhya. There could be small measures that would assure his core vote base that they aren’t entirely forgotten. And this is precisely what Modi is trying to achieve with installing Yogis of the world in position of visibility. This would assure the ‘Hindutva’ segment that one of their own, who has a history of open support for every Hindu sentiment, is assuming power in a state that matters the most for them. I don’t see any reason why Modi and BJP shouldn’t follow that path if the battle lines are pretty much drawn on caste lines. If there could be a Haj Ministry, why not have a person as the CM who wears saffron proudly? Every election is fought on polarization one way the other. It is not that the voters do some high end ‘LaplaceTransform’ or ‘Fourier Transform’ to deduce the person they should vote. There isn’t any algorithm available to deduce that even. It is always the polarization, religious or otherwise, that makes voters chose their choice of candidate. As an individual ‘Yogi’ played a big role in the state politics. The phenomenal success that BJP got in past two elections, both the state and the general election, a good amount of credit should go to Yogi Adityanath. He held this ‘Hindutva’ flock together though there was nothing noteworthy coming from the centre for them. He made sure that the core sentiments of this vote chunk are reverberated in the power corridors of Delhi. He in fact introduced couple of private member’s bill; one among them is the complete ban of cow slaughter, which is very dear to the Hindu sentiments. Not only that, Yogi too made sure that he enjoys equal affinity, both among the Muslims and Hindus, at least in his constituency. Media may want to picture it entirely different from the facts but Yogi is a very popular figure in Gorakhpur among all sections of the society. He has a reputation of being a saviour first irrespective of the person’s faith. There are other areas in the state where Yogi Adityanath enjoys similar perception. In hindsight Modi could have played a masterstroke which our gullible media and other liberals are too naïve to understand. As a politician Modi sees religious polarization in UP is going to be the driving force in 2019 elections. He is just preparing for that eventuality. If Azam Khan can become the head of the organizing committee that oversees the preparation of ‘Kumbha Mela’ then Yogi is a perfect choice to the post. Being the CM he has the tremendous potential to bring benefits to the party. BJP may be playing its own religious manoeuvres but that is what the situation likely to throw up, come 2019. As I said, you don’t choose your war and it is foolish to blame only one party. Terming Yogi’s appointment as deviation from BJP’s developmental plank is again foolish and premature. 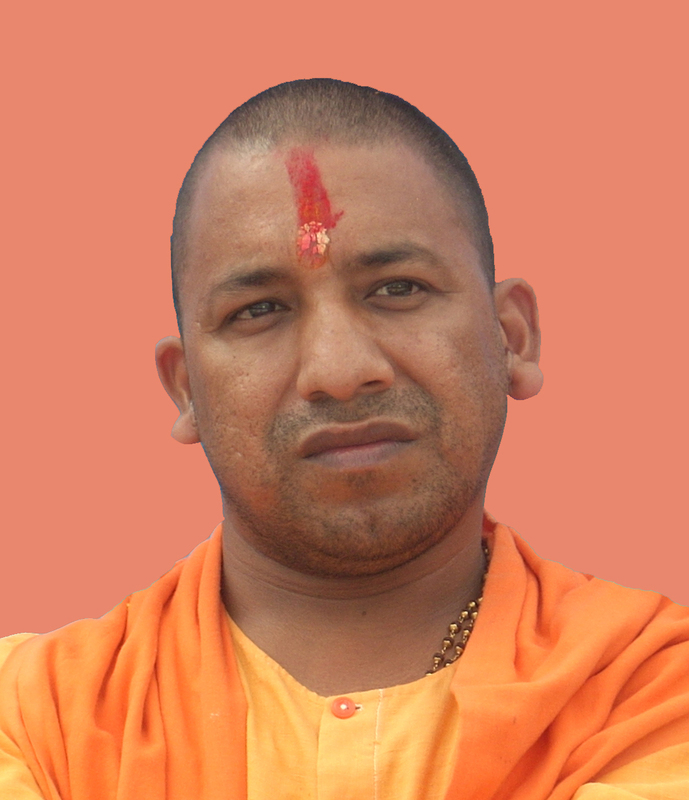 Yogi Adityanath has lot to his credit as an able administrator in various capacities. Just because he wears saffron doesn’t make him any lesser administrator. If skull caps make no indication at the religious overture, saffron shouldn’t either. It is too early to draw conclusions, much like how few were out in the open shouting when Narendra Modi was elected as the PM candidate of NDA. Confusion of our political pundits and liberals alike over having two ‘deputy CM’ is no confusion at all. The reasons are clear as crystals. First of all, Yogi asked for two deputies to manage such a vast state. Second reason is very well documented in the state BJP manifesto. One of the poll promises of BJP was to divide UP at least into three smaller states for better administration and governance. This three way top tier may suggest in that direction. I won’t at all be surprised if these two deputies concentrate on two different regions that are in BJP’s plan of UP fragmentation. And I see logic here. Breaking a state and letting it in the hands of political opportunists has resulted in Jharkhand and Telengana. No significant development has happened post the split. It is all about nursing individual’s or a family’s political aspirations. We have to formulate a better approach and nothing better than grooming people for the post in all earnest. Call it BJP’s move towards grabbing power in these probable upcoming new states or political hara-kiri but the fact on the ground is that, it has taken most of BJP’s opponents by surprise. Having said that, as an individual, I don’t see a reason why Yogi Adityanath can’t be the CM of the state. He is a five time elected MP from Gorakhpur. His unbiased and administrative qualities are vouched by many from his constituency and elsewhere. His percentage of attendance in the parliament is 100% more than the national average. His participation in debates and raising questions during the zero hour is even double than the parliament average. We have seen him debate on varied range of topics, from Industrial revolution to SAARC congregation. Why he shouldn’t be the CM of UP, if any of the objecting lot would care to explain it to me? Please, the explanation should carry some substance, not just ‘Yogi had said this against Muslims’, ‘Yogi had said that against Muslims’ and other such assorted rhetoric. That ain’t make any impact, rather would appear like whining on usual dirty lines. By the way, I don’t know why Yogi Adityanath’s appointment reminds me one joke of my school days – make the naughtiest fellow in the class the class monitor, most of the things would fall into place.